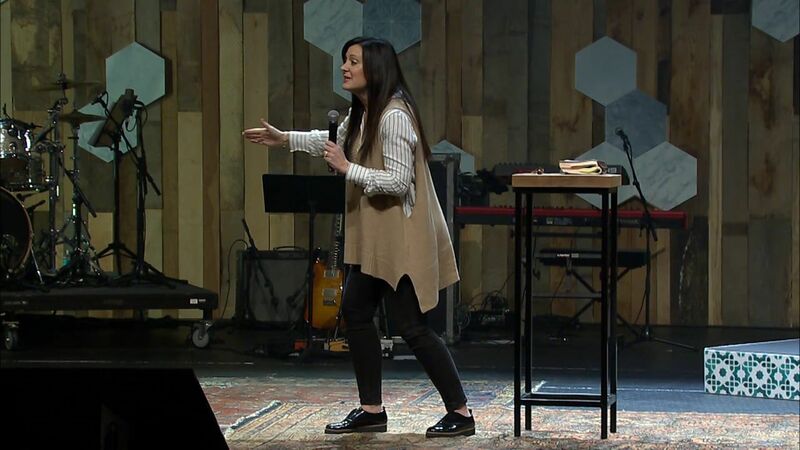 In this session from the 2017 IF:Gathering, Lysa TerKeurst reminds us that we must keep our eyes on the Master. He knows things we don’t know. He sees things we can’t see. And because of this reality, we must surrender our desires into His hands. In this 26-minute video from the 2017 IF:Gathering, Lysa TerKeurst reminds us that we must keep our eyes on the Master. He knows things we don’t know. He sees things we can’t see. And because of this reality, we must surrender our desires into His hands. Lysa TerKeurst is president of Proverbs 31 Ministries and the New York Times best-selling author of The Best Yes, Unglued, and Made to Crave. Lysa and her team have led countless others in their walk with God through online devotionals, radio programs, Bible studies, and more. Lysa has been published in publications like Focus on the Family and CNN online. Additionally, she has appeared on The Today Show, and is a featured speaker at more than 40 events each year. Lysa and her husband, Art, have five children and live in North Carolina. Which of Lysa's points did you find most impactful? Why? How were you encouraged through this message? How can you use what you’ve learned to encourage someone else—in your personal life, at work, or at church—and equip them as a disciple of Christ? How, practically, can you implement what you heard from this message in your life and/or ministry today? What will you do differently this week because of what you’ve just heard? Our job is not to fix, manipulate, or change our lives. Our job is to surrender to Him. For more from Lysa TerKeurst visit lysaterkeurst.com. For more information about IF:Gathering, click here.